Trusted by: Who else uses CIPHR? 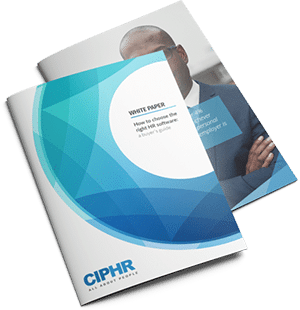 CIPHR is a leading UK-based developer and provider of HR software as a service (SaaS), offering a fully scalable solution that covers the entire employee lifecycle. Our systems’ features include people management, employee self service, absence and working time management, payroll, online recruitment, communications and reporting, and can be tailored to suit your organisation’s specific requirements. HR software enables a number of HR functions to take place electronically, usually with some degree of automation. Functions that are typically included in HR software are storing and updating employee data, payroll, recruitment, benefits administration, attendance records and performance management tracking. Organisations use HR software to streamline their HR processes, and make them easier to manage and access. HR software is also sometimes referred to as HR management systems (HRMS) or HR information systems (HRIS).